The BCE 4ft 6in Retro Raider Deluxe is a sturdy, full-size football table with an MDF and PVC layered playing surface. It has a retro, mahogany brown design finished with an attractive silver trim and semi-circular legs, which makes it a stylish looking piece of furniture. 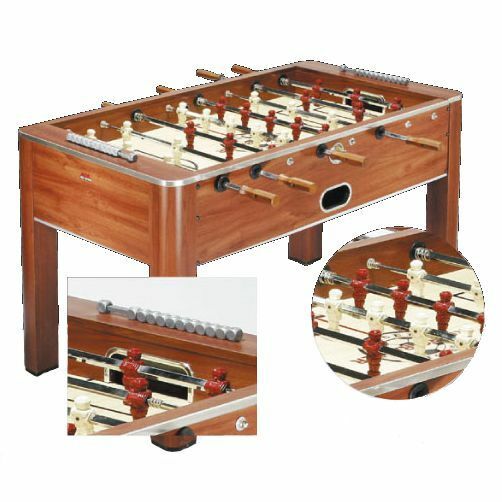 The table has 8 telescopic rods that guarantee safety and stability of every game. The ivory and burgundy coloured players perfectly match its classic design. for submitting product review about BCE 4ft 6in Retro Raider Deluxe Football Table.